Are you patient and nurturing? Do you want to make a difference in young peoples’ lives? If you said YES to ONE of these questions – this job sector may interest you. 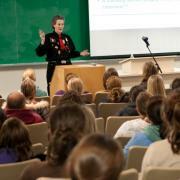 Careers and jobs under Education & Training require you to work in a classroom, studio or lecture hall. Teachers and trainers are skilled professionals who are directly responsible for the education and future of the youth of South Africa. Teachers need to be dedicated and hard working. It can be one of the most rewarding jobs there is. 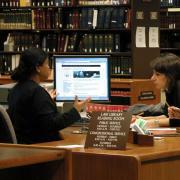 Librarian Science also falls under this sector. If you want more information about careers in Education and Training, click on the different sectors on the left (or below) to find different and interesting job descriptions. Be proud of the job you do! Archivists plan and organise records in such a way that they can easily be retrieved for research as well as for other purposes such as long-term safekeeping and protection. 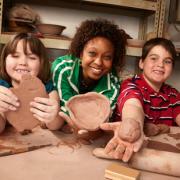 Art Teachers teach children from kindergarten through to high school. The job of an Art Teacher is to help children learn to like different types of visual communication and help learners create their own art through drawing, painting, ceramics and design. Would a career in teaching/lecturing and computing be your thing then becoming a Computer Science Lecturer could be what you are looking for. Drama teachers instruct individuals and groups in acting techniques and principles. Driving Instructors teach people to drive motor vehicles as well as teaching them the theoretical aspects of motor vehicles and road use. In demand! 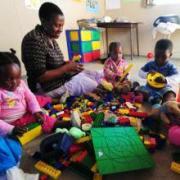 Early Childhood Development (ECD) is the phase between birth and the school-going age (pre-school or creche). This is when children establish foundational cognitive abilities, attitudes and skills, preparing them for primary schooling and the rest of their lives. Education and training consultant are responsible for researching developing, recommending and implementing training solutions for in-house business units or clients. 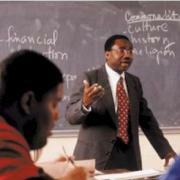 Lecturers at FET Colleges need to be proficient in their area of expertise. It is important that a Lecturer at an FET College has hands on experience in his subject and is able to advise students on both an academic and practical level. Foundation Phase School Teachers have the exciting and rewarding task of teaching children the foundations of reading, writing and literacy. 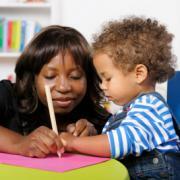 They are also responsible for helping children to develop their thinking skills. 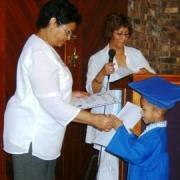 They teach from Grade R (reception) through to Grade 3. Higher education (HE) lecturers facilitate learning and carry out research activities in universities and some colleges of further education (FE). They teach academic or vocational subjects to undergraduate and postgraduate students aged 18 upwards, using methods including lectures, seminars, tutorials, practical laboratory demonstrations, and field work. Are you already a Computer Geek and would like to teach others what you know then becoming at IT Trainer / Lecturer is a career to look in to. 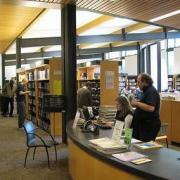 Librarian jobs are found most commonly in academic, public and school libraries. Librarians are ‘information professionals’ who collect, organise and distribute of all kinds of material and in different formats and in different settings. 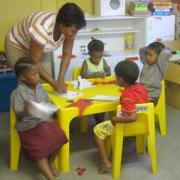 To be a pre-primary school teacher you will need to have a love for children, a creative mind and lots of patience! Do you have a keen interest in children? Are you balanced, organised, patient and practical and believe you would enjoy a career in Teaching? Primary School Teaching gives you an opportunity to combine your love for education, children and creativity. The school Principal is an educational leader who is responsible for managing the staff, policies, regulations, and procedures to ensure that all students are supervised in a safe learning environment and given all the support neccessary to learn. The responsibility of a School Counsellor is far more important than it used to be. Not only do they become involved in career and subject choices but they also ensure the wellbeing of learners. 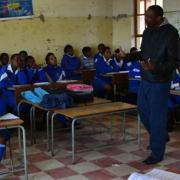 Would you like to teach high school learners? Would you like to help them prepare for the world and career paths ahead? If this sounds like you, here are the different paths to take to becoming a subject teacher for high school learners. A School Teacher teaches learners. A Grade 4 to 9 Teacher can teach at a primary or high school at these grade levels. School Teachers are trained and qualified. If you’d like to work with children and have loads of patience – this could be the career you’re looking for. Do you love working and playing with children? Are you positive and patient? Are you energetic and responsible. If you said, yes, yes, yes – this may be the career you looking for: School Teacher Grade R to Grade 3. They are also known as Foundation Phase School Teachers. The ETDP sector has identified a shortage of more than 5800 Special Needs Teachers! If you are considering a career in teaching and you have a passion for young people with special needs, this may be a career choice worth considering. 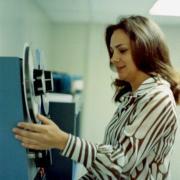 Tape Librarians retrieve computed-stored data files from a server (a hardware unit made up of many hard drives that provides a lot of storage space) and do back-ups on tape. Are you extremely patient? Are you compassionate? 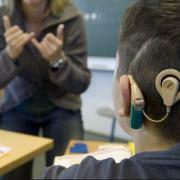 Do you want to work with children who are hearing impaired? If this sounds like you, then consider becoming a Teacher of the Hearing Impaired. Would you like to work with learners who are living with various forms of sight impairedness? 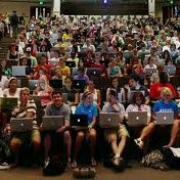 These learners could be slightly blind or completely blind. 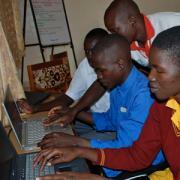 Learners living with a disability need patience and different teaching techniques. TESOL (Teaching English to Speakers of Other Languages). TEFL (Teaching English as a Foreign Language). English is currently used as the world’s primary business language and this means there is a great demand from non-English speaking countries (eg Korea, China, Indonesia, Thailand, etc) to employ either TESOL or TEFL Teachers.